Acclaimed US poet, teacher and editor Peter Kahn explains the new poetic form that Ravi Shankar calls the ‘21st century sonnet’ – and challenges you to write your own. Poetic forms (like acrostics, sonnets and villanelles) can constrict or liberate writers. What I’ve found in over twenty years of teaching young people is that forms that carry the weight of history (such as sonnets or sestinas) can sometimes be intimidating. They can risk shutting young writers down before they even start, or make them try to stiffly imitate the masters, most of whom died long before the young people I work with were born. I’m not suggesting that young poets don’t try writing these forms, but I stumbled upon a 21st century form – ‘the Golden Shovel’ – that provides a useful entry-way to form which seems more accessible and less intimidating. It promotes creativity, while providing scaffolding through borrowing words from another writer. My Golden Shovel Anthology co-editor Ravi Shankar calls it the ‘21st century sonnet.’ By drawing inspiration from other writers, you can avoid the initial stage of writer’s block. The borrowed words act as a muse, calling forth poems that don’t have to be thought out in advance. 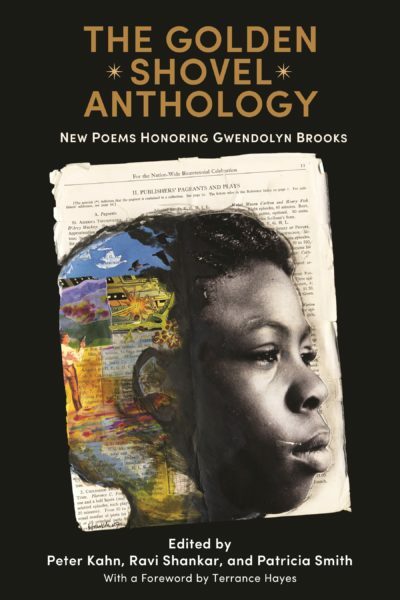 I became so enamored with the form that I decided, along with Ravi Shankar and Patricia Smith, to create The Golden Shovel Anthology: New Poems Honoring Gwendolyn Brooks. Many of the poems referenced here appear in the anthology. What is a ‘Golden Shovel’? The Golden Shovel form was created by National Book Award winning US poet Terrance Hayes in 2010. ‘The Golden Shovel’ is a poem in his book Lighthead written to honour one of his literary heroes – the often underappreciated US poet Gwendolyn Brooks (1917-2000). To understand exactly what a Golden Shovel is, read Gwendolyn Brooks’ famous poem ‘We Real Cool’. ‘The Golden Shovel’ is the name of a pool hall where Brooks’ poem ‘We Real Cool’ is set. She says of the poem, ‘I wrote it because I was passing by a pool hall in my community one afternoon in school time. And I saw therein a whole bunch of boys – I say here in this poem seven – and they were shooting pool. But instead of asking myself, why aren’t they in school, I asked myself, I wonder how they feel about themselves.’ You can listen to Brooks reading and speaking about the poem in this animated film of ‘We Real Cool’ created by Manual Cinema in association with Crescendo Literary for the Poetry Foundation. Once you have read ‘We Real Cool’, read Terrance Hayes’ poem ‘The Golden Shovel’. Your first task is to work out how ‘The Golden Shovel’ is related to ‘We Real Cool’. 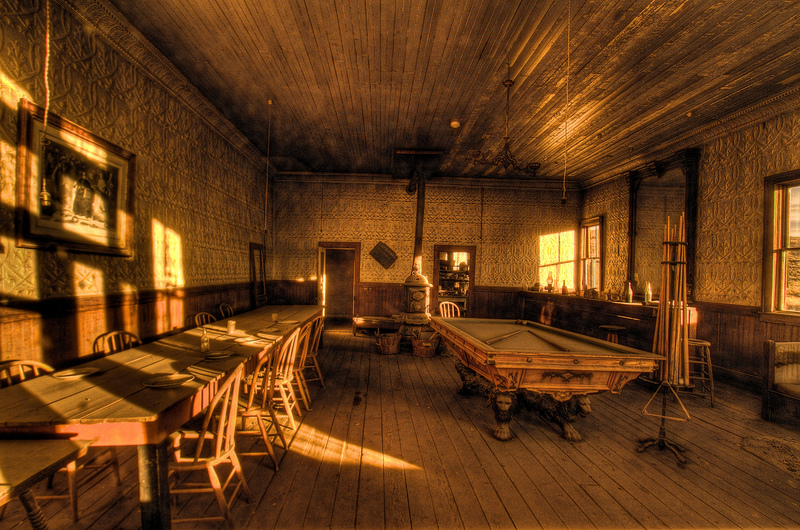 Pool hall. Photo credit: Srikanth Jandhyala via flickr. … if you need a hint, look at the end of Terrance Hayes’ lines. You can read the entirety of Gwendolyn Brooks’ poem ‘We Real Cool’ by reading these end-words. See? … and so on! Discovering Brooks’ poem down the end of Hayes’ lines feels a bit like magic. This is the rule for the Golden Shovel: borrow a line, or lines, from someone else’s writing, and use each of their words as the end-words in your poem. You can see how the constraint of having to end each line with a word from ‘We Real Cool’ actually forces Hayes to be really creative in his poem. The form truly challenges the reader to borrow, or ‘sample,’ in order to create something brand new. This can lead to surprising places – another poet, Camille Dungy, used the words from ‘We Real Cool’ to create another totally different poem: ‘Because It Looked Hotter That Way’. When my son was five and my daughter, eight, I decided they should each memorize a poem. I gave my daughter a copy of ‘Luck’ by Langston Hughes and my son a copy of ‘We Real Cool’ by Gwendolyn Brooks and had them write the poems out and then recite them to me every day until they had them memorized…. We were a dynamic doo-wop duo, my five year old and I, practicing Brooks’ exquisite twenty-four words at various speeds and volumes. One night, even as I began digging for my own words, Brooks kept playing in my head. I decided to string the whole poem down the page and write into it. It was no more than an exercise. Brooks’ poem—her insistent ‘we’ returned me to the pool halls I visited with my father in the seventies. He would have still been in his mid twenties those years. A gold tooth, a pool stick with a green jewel in the handle, a pack of menthol cigarettes. I never saw him drink; I never saw him saddle up to a woman who wasn’t my mother. Over the next nights I wrote several more poems using ‘We Real Cool’ as the scaffolding, but only two made it into Lighthead, my fourth book. One is a kind of narrative response to Brooks, the other a kind of lyric experiment. Have you heard of Gwendolyn Brooks before? She was born in Kansas in 1917 but lived most of her life in Chicago, where she died in 2000. She is often considered one of the most influential American poets of the 20th century, and was the first Black writer to win the Pulitzer Prize. Her writing is often political, particularly dealing with the struggle for civil rights. She was widely published during her lifetime; her poetry collections include A Street in Bronzeville (1945), Annie Allen (1949), In the Mecca (1968) and Children Coming Home (1991). Though she didn’t come to dislike her famous poem ‘We Real Cool’, she did say, ‘I would prefer it if the textbook compilers and the anthologists would assume that I’d written a few other poems.’ You can read more about Gwendolyn Brooks, and find many of her poems, on the Poetry Foundation website. We challenge you to write a Golden Shovel and submit it to us. 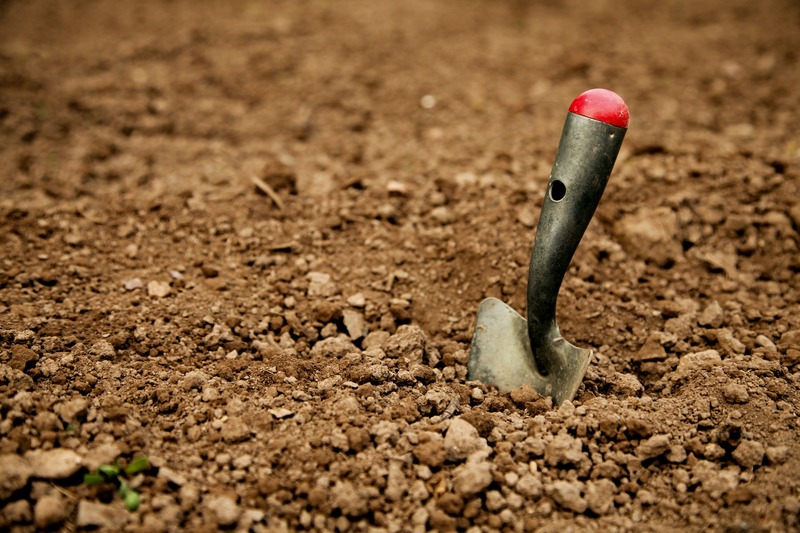 To write a Golden Shovel, borrow a line or phrase by someone else, and use each of their words as the final word of each line in your new poem. You must keep the original order of the words intact, and you must credit the author of the original line or phrase. Write a ‘traditional’ Golden Shovel using a line from a Gwendolyn Brooks poem. Write a Golden Shovel using a line from a different poet. Write a Golden Shovel using a phrase from a song, novel, play, speech, film… anything! Choose a striking line! Try to find a line where the first word is ‘strong’, i.e. a noun or a verb (such as ‘marbles’ or ‘lurk’) as opposed to a preposition, conjunction, adjective, adverb etc. (such as ‘and,’ ‘the,’ ‘I’ or ‘a’). Next, write those words vertically down the right margin of your page. Now fill in the poem. See where your imagination/creativity takes you. It’s up to you whether to take inspiration from the topic or theme of the poem you borrow from. When editing your poem later, you might like to try for equal line lengths so that your poem is symmetrical and pleasing to the eye. Selected poets will be published on Young Poets Network and sent an exclusive Young Poets Network notebook as well as poetry goodies. Find details on how to enter at the bottom of this page. Teachers can also access our teaching resource on Golden Shovels and enter students using this class entry form. language of what you might call living for art. 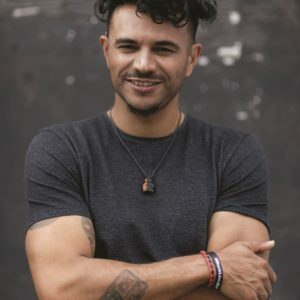 In this poem, Raymond Antrobus uses the line ‘each body has its art’ from Brooks’ poem ‘Gay Chaps at the Bar’ as the final words in each of his lines. The line ‘each body has its art’ is the opening line of the second poem from the sonnet series, ‘Gay Chaps at the Bar’, called ‘still do I keep my look, my identity…’. Because great poetry can’t really be paraphrased, I’ll just say, read it, it’s amazing. I write Golden Shovels fast, rarely going over them. There are a number of Golden Shovels where I initially think, ‘yes, this is something’ and I labour over it, then lose something that felt like a kind of magic. I overthought it. Some lines/ideas have been lifted directly from my Golden Shovel into other poems. My Golden Shovel poem in the Golden Shovel anthology [edited by Peter Kahn, Ravi Shankar and Patricia Smith] even built on the following line which isn’t included in my poem – ‘each body has its precious prescribed pose’ – the energy of that idea seeped into my Golden Shovel poem. This approach was actually inspired by an 11-year-old student, struggling with her literacy. Raymond Antrobus, credit: Tenee Attoh. For her, if I built up her confidence and she wrote fast, her results were so much more interesting and powerful, so I hoped the same would be true for me. I think that’s what’s amazing about this as a form: it gives you a cage with enough room to put the animal in it. taunt like skeletons. It’s been months since you first started forgetting. murderer. Yes he unwound their rings in a plaid blaze. unmoved by bistro tables and hardcovers. Still he is consenting. cut through this silence melting into brown. Here, Langston Kerman uses each word from ‘The grasses forgetting their blaze and consenting to brown’ (originally from Brooks’ poem ‘A Sunset of the City’) to end each of his lines. The poem came out of a breakup that was happening at the time, and my frustration in desiring someone who was so apparently bad for me. Brooks’ line ‘The grasses forgetting their blaze and consenting to brown’ feels like this masterful articulation of the inevitable. She says so much about the ending of things without ever using official ‘ending’ language, in a very similar way to a person not yet ready to let go of their fallen relationship. It was as if Brooks was able to weaponize her own concision, and cut to a truth that never needed to be explained. In that way, it felt like the perfect tool for articulating a feeling that I, in the wake of the relationship, never wanted to explain further. Too often poetry is perceived as this strange mutation that only a select population will ever make sense of. Instead, the Golden Shovel, both as a form and as an anthology, eases that process and shows that poetry can be both a simple welcoming and a challenging reshaping. If nothing else, the anthology will stand as wonderful evidence for any student who might claim they ‘could never do what the poets in the books do,’ and instead prove that the poets of the books are doing the same thing as themselves. fields instead. And suddenly, the world was somehow less and more scary than before. In this poem, Adam Levin uses a Golden Shovel poem to create his own Golden Shovel! Follow the links above to see how this poem comes from two other poems. In this Golden Shovel, Peter Kahn uses the line ‘Don’t it always seem to go that you don’t know what you’ve got till it’s gone’ from the Joni Mitchell Song ‘Big Yellow Taxi’ as the end words for his lines. Please be aware there is an expletive in this poem. During my senior year of college, we used to put white message boards on our dorm room doors so that people could leave messages. Long before Twitter, people would often put up quotes on those white boards. For my last day as an undergraduate student at Tufts University, I wrote, ‘Don’t it always seem to go that you don’t know what you’ve got till it’s gone.’ As a result, Joni Mitchell’s song and, in particular, that verse has had nostalgic resonance with me. 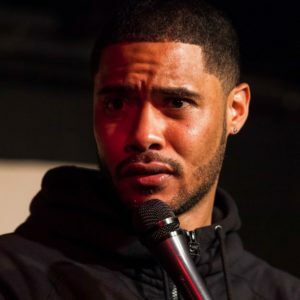 I was a social worker in Chicago in the early 1990’s and one of the young people on my caseload at Neon Street Center for Youth – Steve, then age sixteen – ended up killing someone and being convicted of first-degree murder. After visiting Steve and hearing his side of the story, I was convinced that it should have been involuntary manslaughter. The way his case was handled taught me a lot about the (in)justice system in the United States, which is biased against those without means, especially if they are African-American. Steve was essentially ‘guilty until proven innocent,’ instead of the other way around and was given an over-worked, over-whelmed public defender who simply was out-played and out-resourced by the district attorney. I took the liberty of using Joni Mitchell’s song lyric in this Golden Shovel. The words ‘don’t’ and ‘gone’ somehow evoked Steve’s story, which is one I’ve been grappling with ever since his arrest. If you are interested in getting your own copy of The Golden Shovel Anthology: New Poems Honoring Gwendolyn Brooks, you can buy it online. The anthology has over 300 Golden Shovel poems by a range of writers including Inua Ellams, Nick Makoha, Malika Booker, George Szirtes, Andrew Motion, Jacob Polley, John Burnside, Tishani Doshi, Danez Smith, Tracy K. Smith, Rita Dove, Billy Collins, Nikki Giovanni, Nikki Grimes, Philip Levine and many others. This challenge is for writers aged up to 25 based anywhere in the world. The deadline is midnight, Sunday 31 March 2019. You can send a poem written down, or a recording as a video or as an audio file. You can send as many poems as you like. We welcome submissions in English and in British Sign Language (BSL). Send your poems to educationadmin@poetrysociety.org.uk with your name, date of birth/age, gender, and the county (or, if you’re not from the UK, the country) you live in and the subject line ‘Golden Shovel challenge’. If you are aged 12 or younger on 31 March 2019, you will need to ask a parent/guardian to complete this permission form; otherwise, unfortunately we cannot consider your entry. This is due to data protection laws. Teachers can also access our free teaching resource on Golden Shovels and enter students using this class entry form. If you require this information in an alternative format (such as Easy Read, Braille, Large Print or screenreader friendly formats), or need any assistance with your application, please contact us at educationadmin@poetrysociety.org.uk. 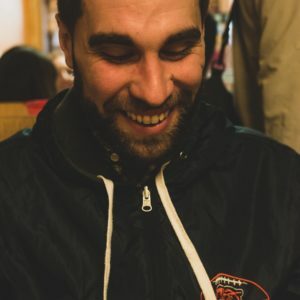 Peter Kahn is a founding member of Malika’s Kitchen and co-founder of the London Teenage Poetry Slam. 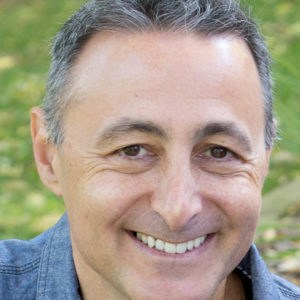 He has been a high school teacher at Oak Park/River Forest High School in Chicago since 1994 and has recently also taught at Roosevelt University. As a Visiting Fellow at Goldsmiths-University of London, he founded the Spoken Word Education Training Programme. Peter holds an MA in English Education from The Ohio State University and an MFA in Creative Writing from Fairfield University. Along with Patricia Smith and Ravi Shankar, Peter edited The Golden Shovel Anthology: New Poems Honoring Gwendolyn Brooks. Hello! Are we allowed to use the alternating end word format like the first poem at the top of the page? Thank you very much! Hmm, I’m not sure what you mean – which poem are you referring to? Hiya! I was just wondering – who should we address at the start of our submission email? As in; “to whom it may concern”, or a name? Thanks for your comment! We don’t mind who you address it to – a simple ‘Hello’ is fine. We’re very informal folk and sometimes more than one person will be looking at that particular inbox. You can address it to Young Poets Network, the Education Team, or even to me (Helen), but we won’t mind either way! Looking forward to receiving your poem. Was just wondering, it says we can submit as many poems as we like. I’ve already sent in one email but have written some more. Can I submit those too? Thanks! Thanks for your entry! You can submit as many poems as you like to any Young Poets Network challenge, unless otherwise stated (though I can’t think of a single challenge where we’ve stipulated one entry per person). We’re pleased you’ve found this prompt useful and look forward to receiving more of your poems! Thanks for your comment. The poems are with the judges and we will let all the entrants know as soon as we have a result. I would guess this would be by the start of May.